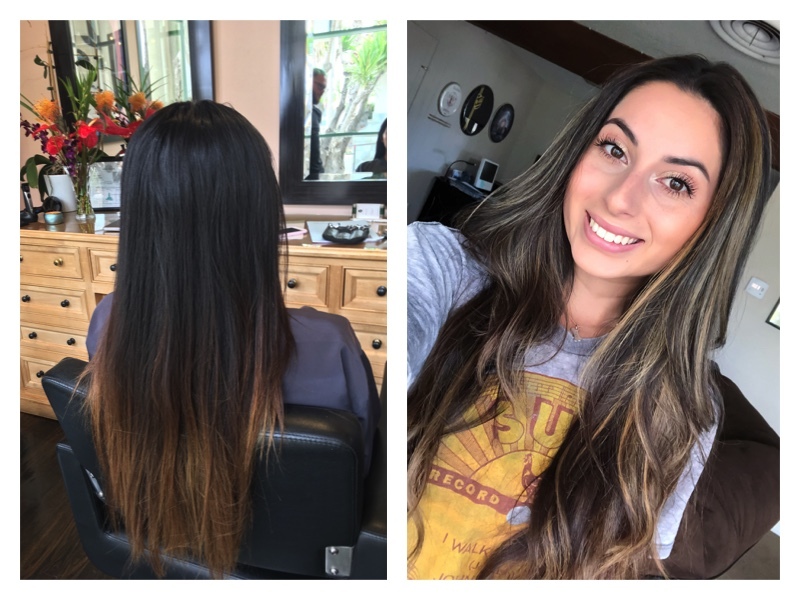 Ever wonder what it might be like to have long hair color balayage? Coloring you long hair is a major risk if you don’t have the right person doing it. It could take years for your hair to recover with the wrong person who’s colored it. In all the years I’ve been doing hair. I’ve seen many hair colorists who just don’t get it. Some hair colorists go to far, and some don’t go far enough. Here’s an example of a young lady with super dark long hair who wanted something a little more decorative in color. When she first approached me with the idea of putting in some highlights, I balked at the idea knowing this could be a risky affair. But who better than myself to throw some color into her life and some long hair balayage. Although I just loved the color of her hair, I knew as a young lady was just trying to be different. I’d rather be the one doing it than some inexperienced person who may ruin her hair for a long time to come. Tehya was a beautiful young lady who just wanted to be different. When she first came to me, I noticed the old orangey ends that someone never brought up to the right level to get her out of. She had been permanently stained for a long time. I immediately got to work on this gorgeous super long hair that demanded total care every step of the way. With a couple of different processes, not only was the color beautiful when I got done, but the integrity of the hair had never been compromised. Take a look at her before and after. Take advantage of Oscar week for your new hair color. 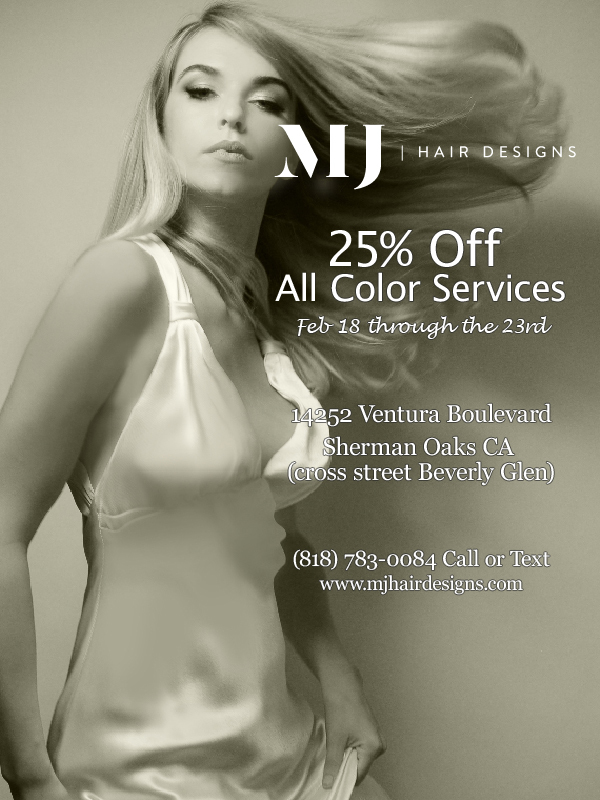 MJ Hair Designs is offering a 25% discount on all hair color services. 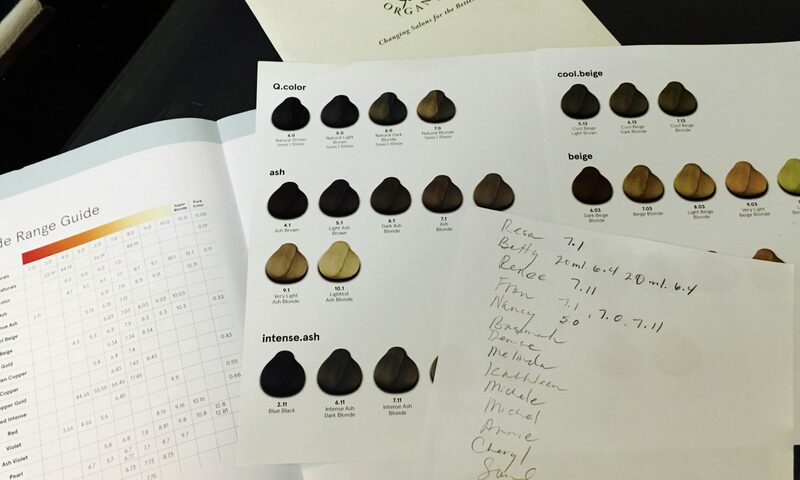 When it comes to coloring hair, one of the biggest tools a hair colorist can use is a color wheel. The color wheel helps hone in and target a shade that the hair color specialist can either want to neutralize or emphasize. Primary colors are red yellow and blue are the basic colors and cannot be made by mixing other colors. These are the colors that matter the most when coloring hair. 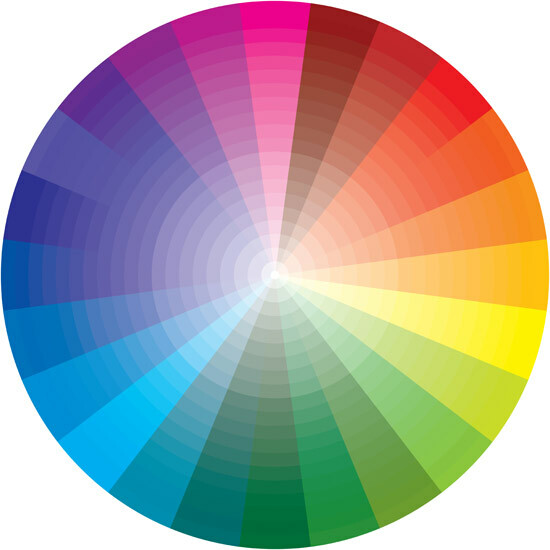 The bases of these colors make up all the other colors. Secondary colors and made by mixing two primary colors. Warm colors are advancing colors and Cool colors are receding. When it comes to coloring your hair, make sure your hair colorist understand the color of law. And yes, make sure he or she owns a color wheel. Ever wonder what it would be like to go from Frizzy to Silky hair. 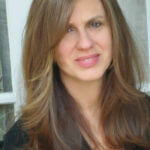 MJ Hair Designs is now working with the cutting edge formaldehyde free keratin Uberliss. The answer to all your prayers is in this one keratin treatment. Most Brazilian Blowouts are producing a formaldehyde gas that might be harmful to your health, hair and even your hairstylist. Some of these products make some pretty outrageous claims that the percentage of formaldehyde is so low that nothing in the process can hurt you. Independent studies are now showing that these products are emitting almost 20 – 25% formaldehyde gas. The irony is it’s really not necessary for one to be exposed to such a gas. It’s just cheaper to make in the labs! 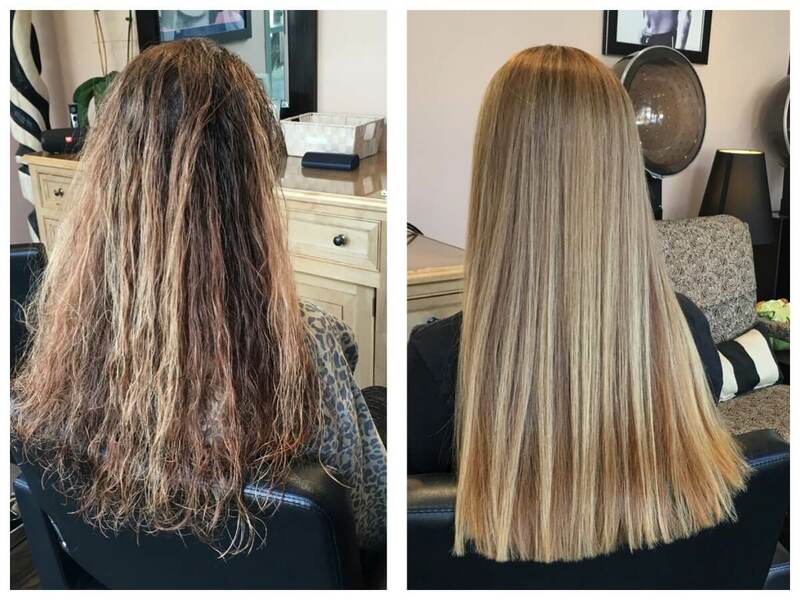 So why expose yourself to keratin treatments that might be harmful to you… MJ Hair Designs realizes that not only the health of your hair, but your personal health is much more important than just an unnecessary gas that’s cheap. Uberliss … the only keratin Brazilian blowout on the professional market that’s safe, effective, and clean. Not if my incredible weekend spent at the PROFESSIONAL BEAUTY ASSOCIATION’S BEAUTY WEEK at Las Vegas’ Mandalay Bay Resort is any indication! The event was elegantly hosted by COSMOPROF NORTH AMERICA and oh, what a fun and educational affair it was. I have to say, my weekend at Beauty Week was more than worth the visit to Las Vegas. I’ve been doing hair for three decades and, luckily for me, I don’t just “do hair.” It’s an art form for me, and I feel like an artist when I’m doing hair. Nothing makes mehappier than making my clients look and FEEL beautiful after a visit with me at the salon! My years of salon experience has taught me so much but, I’ll never learn so much that there’s not room to learn even more. That’s why attending BEAUTY WEEK was so important for me. I should give you a little background about the Professional Beauty Association (PBA). First, a big thumbs way-up for STEVE SLEEPER, the PBA’s Executive Director, a man who takes his job as seriously as I take my own. The PBA is a non-profit whose mission is to elevate, unite and serve the beauty industry, along with the hardworking professionals who are so dedicated to improving the lives of their clients by making them look and feel their best. and it is the largest and most awarded beauty event in the Americas. Attending this year’s event gave me the opportunity to learn so much, keeping me on top of my art, so I can keep making my clients looking and feeling like works of art. Not surprisingly, the group is growing by leaps-and-bounds every year. That growth is thanks to their being the premier launching pad for discovering new product innovations and getting those products to those of us in the beauty industry which, in turn, gets the latest products and techniques working for you. was truly an international event. For me, it meant having the opportunity to meet vendors from all over the world, talk with them about their products and receiving the best advice possible on how to apply their products and services to my work. The Week of Beauty gave me the opportunity to make new relationships with a long list of professionals in the industry. Now, let me tell you why this is so important for me. I’ve worked in a number of Los Angeles-area hair salons for years, but it’s time for a new beginning. My ultimate dream, in progress, right now, is to strike out on my own and to have my name over the door of what will be one of Los Angeles’ finest hair care and beauty salons. I’m ready for my closeup and…ready to get youready for yours. Attending Beauty Week was an important part of making that dream come true for me. Stay tuned! My trip to Los Vegas wasn’t all just about work. There was plenty of time for fun! One of the highlights of the weekend was the PBA’s NATIONAL HAIR STYLING AWARDS. I was lucky enough to have professional photographer access (photography is a hobby of mine) so I was so excited not only watching the beauties on the red carpet. Hey, who says beauty is only skin deep? I’ve met and worked with so many clients over the years. And, I’m delighted to say, many of them were already beautiful on the inside. My mission is to make it so their own inside beauty is reflected in their physical, outside beauty. And, I have to add, I do it well! Are you feeling and looking beautiful today? agree that the trends in hair and fashion are reflecting light that is fragmented and creates the prisms that inspire hair color, cosmetics, fashion and nails. Blinding rays of light, metallic rainbows or iridescence… Multicolored juxtapositions highlight hair, lids, and nails and design vibrant, blurry, shot effects. 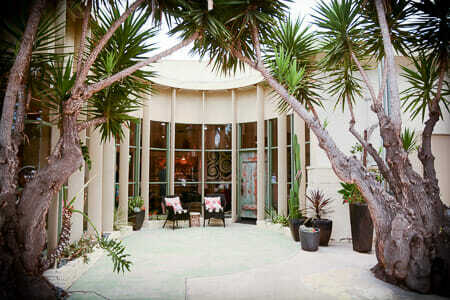 Nelly Rodi & MJ Hair Designs agree that women are embracing hedonism with intrinsic colors of nature at it are best. Golden sunshines and reassuring happy colors at an intense ratio are taking hold. Reds, ultra violet, holographic glass, luminous vibrations and glow in the dark cosmetics in night time make-up. is a school of thought that argues that the pursuit of pleasure and intrinsic goods are the primary or most important goals of human life. A hedonist strives to maximize net pleasure (pleasure minus pain), but when having finally gained that pleasure, happiness remains stationary. So how does that tie into hair and fashion? Nelly Rodi & MJ Hair Designs share the idea that the fashion forward thought of hedonism is coming alive in the pleasure of reflecting attention-grabbing color at a very high level. Nelly Rodi and MJ Hair Designs also agree that hedonism is a fashion forward “me too” movement of empowering women to take back control by standing out on the runway, the workplace and now the streets. NO MORE APOLOGIES. LOOK AT ME… THE NEW ME! When coloring gray hair, some of my blonde formulas fit best considering the subject. Coloring gray hair has always been the most fun since it’s always the most challenging. But what I do know is once you get the hang of it after as many years as I’ve done it, you can achieve some of the most beautiful results. Whether you’re a blonde or a brunette, gray hair is always fun for me to color. Some of my Red Hair formulas, I weave panels of blonde to add some spice to the base. The secondary color helps brighten the total look or just add a kick. Framcolor 2001 offers an endless choice of tonality and coverage. Naturally reflective, warm finish or a cool, more dense coverage. For the first time ever in permanent haircolor, one line does it ALL. Framcolor 2001 shades offer the salon a complete and elegant palette on which the color artist can blend the perfect color for each individual client. Framcolor Futura offers a palette of 46 intermixable shades using true cream base colors to give you the perfect consistency. Precise color placement allows the most even color results with extraordinary gray coverage. With a low ammonia content and superior high quality dye molecules, ensuring superior shine and minimal fadage, I create the most beautiful and the most natural looking haircolor possible. If you’re looking for the best salon in Los Angeles, look no more… MJ Hair Designs is the Best Salon in Los Angeles – 14252 Ventura Boulevard Sherman Oaks (818) 783-0084. For a personalized salon boutique feel for your privacy, or the best hair color for you or your loved one, Michael Joseph is one of the leading hair colorists and stylist. Rated one of the best salons near me on google. From just a root touchup to the best in balayage, using only the best safest toxic free internationally acclaimed products. For a walk down the aisle or a red carpet, Michael Joseph is the hair stylist and colorist that you want. Michael is creating some of the latest and greatest looks in today’s modern-day salon. His French Balayage & Pie Panel Highlights win him favor with the greatest fashion designers today. Michael Joseph began his career working with Aveda founders Horst Rechelbacker and Gerald Kriegisch. Michael Joseph has established himself as formidable force in the hair coloring and styling world. 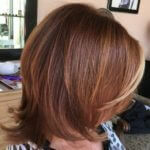 Please find Michael Joseph at MJ Hair Designs – (818) 783-0084 14252 Ventura Blvd. Sherman Oaks.